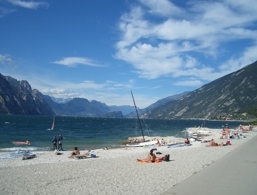 Beaches at Lake Garda. Discover Lake Garda! The sun is high, and there’s a light breeze with the lapping of the lake. Nothing is better for relaxing than spending a few hours lying in the sun on the beach. 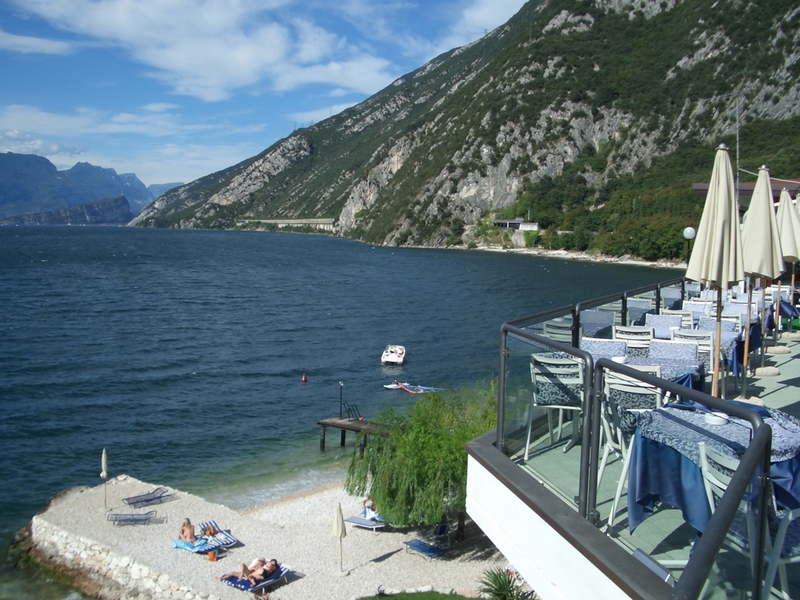 And you don’t have to travel far to the sea, because there's a beach feeling at Lake Garda. You can roughly divide Lake Garda into Alto Lago and Basso Lago. Alto Lago means the narrow northern part of the lake, Basso Lago the southern region. At Alto Lago, surfers, kiters and sailors will be happy. The wind conditions are much better here than in the south. 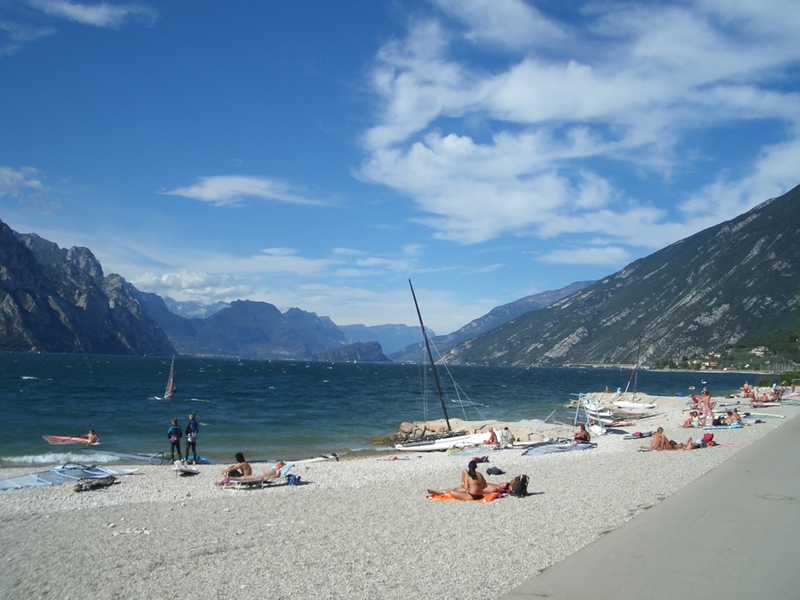 There are beaches in Torbole, Riva del Garda and Limone, the latter two are especially recommended for families with older children. For families with small children, however, the beaches on the southern part of Lake Garda are ideal. Many campsites are bordering the lake, and clear private beaches are plenty here. Children should never be left unattended in the water. After a few meters, the water in the lake quickly deepens, the little ones should, therefore, be able to swim well to be left alone in the water. 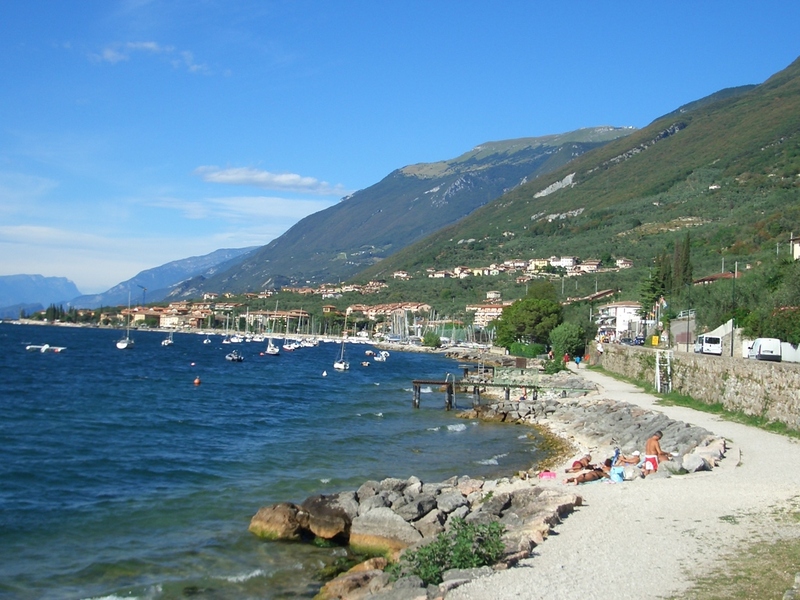 We should also mention that there are only gravel beaches and no sandy beaches on Lake Garda with few exceptions. In high season you should occasionally go to the beach early, to secure not only cheap parking, but also an excellent spot on the lake.